It’s possible to have MULTIPLE CAR REPAIRS performed at the same time…….. 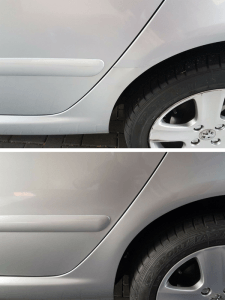 Whether it’s panel dents and scratches, bumper scrapes and splits or alloy wheels with gutter rash, SMART Paintworx have highly skilled technicians who can repair them all on-site! 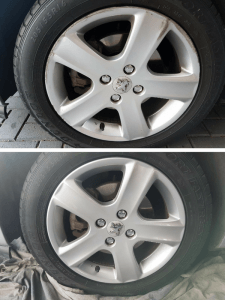 Don’t waste time going to one company for a dent repair, another for a bumper repair and a third for your alloy wheel repairs when we can repair them all during one booking. Plus, the more repairs we’re completing at one time the lower we can drop the price! Simplifying the process is what we’re all about. If you’d like to have all of your cosmetic paint and dent repairs taken care of with just one booking, and experience the benefit of only having to deal with one company once only for multiple car repairs, contact us and we’ll get the ball rolling with pricing for each area of repair. 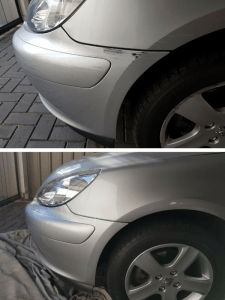 Multiple repairs, one quote and one booking is the perfect outcome for both the customer and SMART Paintworx. We quote each area of repair individually to make it easier for you to choose what you’d like to have repaired now, and what you’d rather leave for next time. Perhaps you’re waiting until you receive your tax return before taking the time to have all of your car repairs looked at? As soon as you’re ready just give SMART Paintworx a call and we’ll take care of all of your paint and dent repair needs in one go! This entry was posted in Multiple Car Repairs and tagged car repairs, mobile car repairs adelaide, Multiple Car Repairs. Bookmark the permalink.